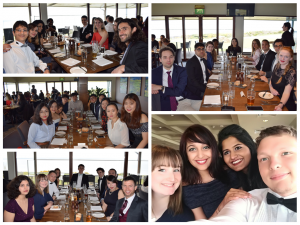 Postgraduate student, Paul Dobra organised an end of semester celebratory dinner at the Fairmont Hotel in April. The social event marked the end of teaching and provided a chance to relax before the commencement of dissertation. Paul supplied comments and shared some photos from the occasion.